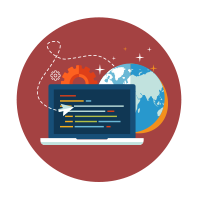 When third-party APIs come up short and additional functionality is required, our development team loves to be challenged and has vast experience building customized solutions and plugins to meet client needs. 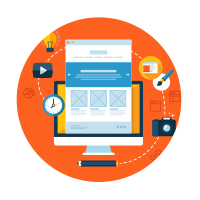 Due to our meticulous attention to front-end development best practices, and responsive design, our sites perform flawlessly across all platforms and devices. We use clean, modern code and constantly test and retest development solutions, ensuring a consistent message and feel—whether it’s displayed on a 27” monitor or a smartphone. 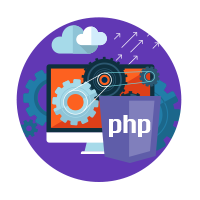 PHP is one of the many server-side scripting languages we use here at Applabs. Our code-nerds are well-versed in a variety of scripting languages, however PHP is a notable player having been installed on more than 240 million websites and 2.1 million servers as at 2013. Don’t have a clue what we’re talking about? That’s cool, because we do. We’re happy not to bore you with this mumbo jumbo if you prefer not to hear it. However if you’re a tech-junkie, feel free to discuss our capabilities with us in more detail. When your mobile app, or web app, is developed with Ruby on Rails you are in good company as it is used by some of the biggest websites in the world, including Twitter, AirBnB, Groupon and Living Social. Ah responsive. What does that mean exactly? It simply means that people want to access your website from anywhere at anytime – so you better make darn sure that your website works on anything at anytime. Be it on a desktop computer, a laptop, a smart TV, smartphone, tablet, whatever – we’ll make your site looks flawless and functions flawlessly. 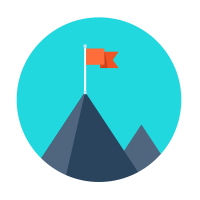 Our designers and developers love to be challenged. We’re not limited to working in just HTML or WordPress. And we won’t restrict you by charging you inflated pricing for us to implement a template that doesn’t really fit your needs. If you need a unique, custom website that is specifically tailored for your brand, company, product, etc, then we will create it using the most ideal platform and building bespoke features – rather than going for the quickest/easiest route. Often apps need a simple landing page to display their new app, play a marketing video, briefly describe the features and of course, lead people to download the app through the App Store or Google Play. 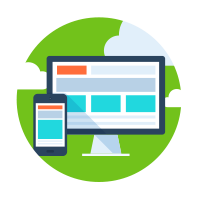 We create simple, yet beautiful landing pages or single-page responsive apps to perfectly promote your new product. 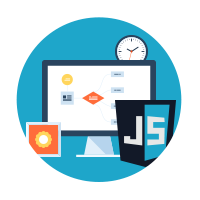 Front-end development has become increasingly more complex. The simple markup days are behind us, and now we’re building full-featured applications able to operate almost entirely on the front end. Our developers work alongside the project’s lead designer to find the balance between presentation and performance to ensure the highest level of design accuracy and user experience. This process is time consuming and requires both disciplines working together not only to deliver the most elegant and smooth experience possible but also to potentially unveil opportunities for greater performance as well as aesthetic enhancements.